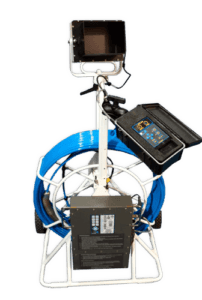 Video pipe inspection is used to visually inspect the interior of your pipes so as to identify the location and cause of a defect or blockage in your pipes. Pinpointing the exact cause and location of your problem in this way saves time, eliminates guesswork, and prevents repeated and costly service calls. Can you spot the uninvited guest in the video pipe inspection? Budget Rooter recommends a video pipe inspection if you experience frequent drain backups, slow drains, or prior to the purchase of a new home. When you call Budget Rooter, our courteous customer service reps will work with your schedule to set up an appointment for service or a free estimate. They will also give you a call to let you know that a technician is on the way prior to your appointment. 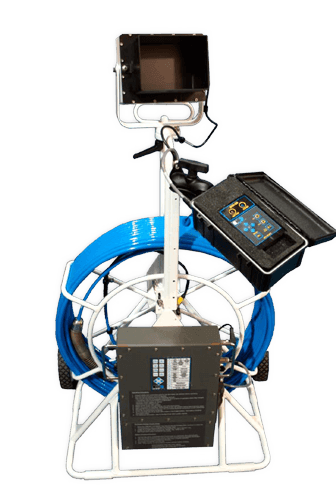 Budget Rooter’s experienced technicians come equipped with a high-resolution, portable, color video inspection system with a built-in monitor so that your inspection can be viewed real-time. Upon your request, we can also record your inspection and provide you with a DVD copy.